Do You Avoid Work Conflicts? As a skillful leader, you try to keep those you work with happy and productive at all times. But sometimes, people are unhappy and conflict arises. And letting the issue resolve itself can hurt your company. Employees waste an average of $1,500 and an 8-hour workday for every conflict they avoid, according to a recent study. The research also confirms employees who speak up waste significantly less time complaining. So why do we avoid conflict? Most employees don’t speak up for fear of retribution, job loss or because they are frustrated by management’s lack of response, according to Discovery Surveys. To encourage openness, they suggest discarding suggestion boxes. Conflict resolution can be an asset to your company. Encourage discussion of different opinions, avoid personal attacks, reward those who speak up and hire problem solvers, says the International Quality & Productivity Centre. Addressing conflict can help you move ahead in your career. “In the workplace, being seen is only half the battle. The other half is being heard,” reports Monster.com. 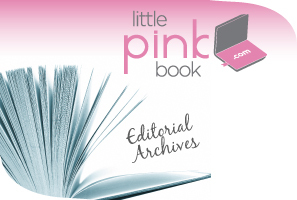 Bonus PINK Link: Trouble trusting a co-worker? Get inside the mind of the office backstabber. 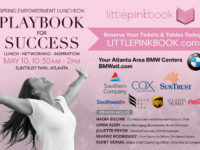 Editors Note: If we missed you at last week’s Spring Into Ownership PINK Event – you can still check out the amazing success secrets shared by hugely successful women business owners! Just click here.